For those unacquainted, this giant Buddha was carved from one massive piece of pure polar jade found in the Yukon - the far northwest of Canada - 18 years ago. 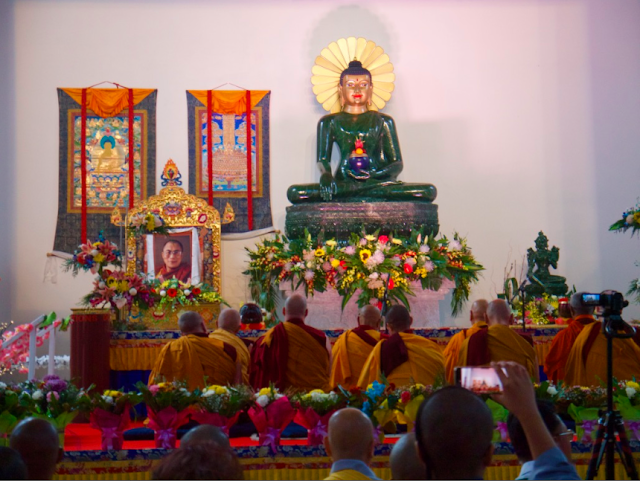 I had the good fortune to be invited to attend its inauguration when the Jade Buddha arrived at its new home - the Atisha Centre outside Bendigo on Friday 18th May. Some of us may have been fortunate to see the Jade Buddha during its travels or buy a small piece made from the offcuts. The Jade Buddha is 2.5 metres high and sits on an alabaster throne of close to 1.6 metres. Weighing in around 4 tonnes, it is considered to be priceless and is shown here in its uncut form with Ian Green (on the right), the man behind the whole project. The Jade Buddha was modelled upon the Buddha inside the Mahabodhi Stupa in Bodh Gaya (India). This Buddha was chosen because it is recognised by most Buddhists as the closest likeness to the Buddha himself. 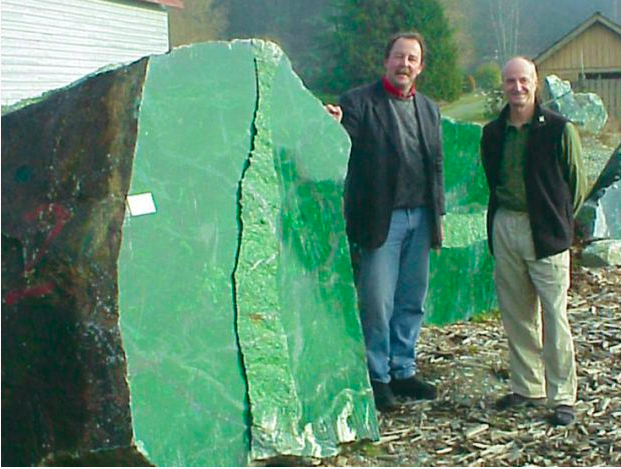 In early 2003 Ian Green heard about the massive piece of jade known as Polar Pride. 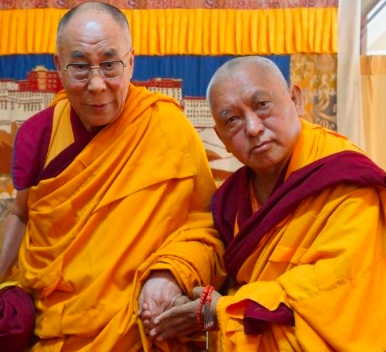 Ian then spoke to his spiritual master, Tibetan Lama Zopa Rinpoche (whose organisation FPMT has a major centre in Melbourne, the Tara Institute - along with many other centres around the world). That night Lama Zopa had a vision that the boulder would become a Buddha that would illuminate the world. Lama Zopa then told Ian “you must turn this jade boulder into a Jade Buddha as a holy object to offer to the world”. The next 5 years were devoted to raising the necessary funds, selecting the best jade master carvers, shipping the boulder to Thailand, preparing a total of 4 prototypes, carving and polishing the Jade Buddha. Completion? December 2008. Commencing early in 2009 the Jade Buddha for Universal Peace toured the world with the objective of inspiring everyone who sees it to find peace in their family; peace at work; peace at school, peace in their community and most importantly peace in their heart. The Jade Buddha tour travelled to over 120 cities in 20 countries and an estimated 12 million people spent time in its presence. The stupa in which this remarkable statue is now the centrepiece, is nearing full completion but already stands 50 metres high and 50 metres wide at its base, making this $20 million building the largest of its type in the western world. Atisha had its genesis in the advertising career of its now President, Ian Green. 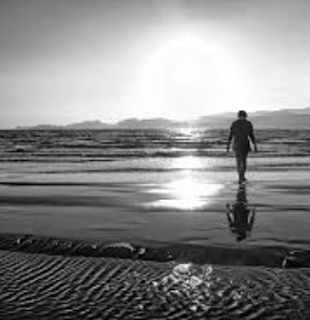 Turning his back on the “rat race” and looking to India for solace and meaning, Ian found Buddhism before returning to Melbourne; whereupon his father offered him 50 acres in Myers Flat, near Bendigo. 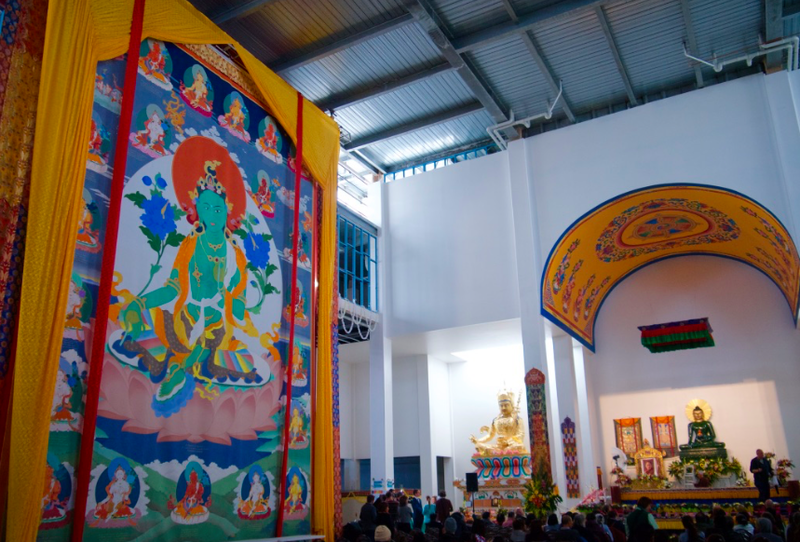 Over the past 38 years, Ian has supported the Atisha Buddhist centre as it has expanded to over 210 acres and now includes a monastery, a retreat centre and an inter-faith peace garden. There are also plans to create a school and an aged-care facility. "A little town that runs on Buddhist values of harmony and cooperation and, you know, peace — but that also runs on the grounds of sustainability," Ian said. 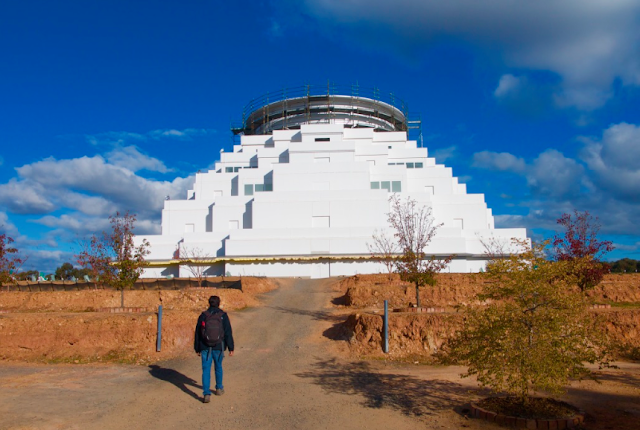 No doubt the Jade Buddha and the incredible stupa will be a draw card for serious pilgrims and curious tourists - who may just make a connection or have their curiosity aroused and turn towards the dharma. For any of us; what I do suggest is that whenever you can, make a visit - it is quite extra-ordinary and the atmosphere in the stupa, when you sit in front of the statues of the Jade Buddha and Guru Rinpoche, plus a huge White Tara thangka is quite something. Whether burnt out, dealing with physical or mental issues, this retreat provides a unique opportunity to be led and supported by a doctor well versed in Mind-Body Medicine who has a particular expertise with deep relaxation and healing. Combine deep relaxation techniques and mindfulness meditation to release the stress we carry in our bodies in this busy and complex modern world. Ideal for healing, rejuvenation and opening our awareness. Ruth’s teaching style is one of openness and authenticity, and there will be plenty of opportunity for questions and discussion. Techniques covered in this retreat will be accessible and engaging for both beginners and more experienced meditators. This retreat is well suited to all Health Professionals. Labels: History of the Jade Buddha, Jade Buddha in Bendigo, Visiting the Jade Buddha, Where is the Jade Buddha? Ian this is wonderful. Thanks for posting. I don't know when I can get to Bendigo, but it is going on the bucket list immediately. Glad you are enjoying your retirement. Thanks for the Jade Buddha story - I am going to Bodh Gaya for a Vipassana session and will see the original from which this beautiful Jade Buddha was modeled - even though I cannot see this one. 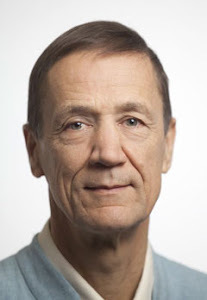 Ian Green has shown us what can be done with genuine Faith and endeavor. That too is an inspirational story.